Abdel Mohsin Al-Qattan, was born on 5 November 1929 in Jaffa -Palestine, and died on 4 December 2017 at his home in London-UK. He began his studies at the Ayyubid School in Jaffa before joining An-Nahda College in Jerusalem, then headed by Palestine’s leading educator, Khalil Sakakini, who had an immense and everlasting influence on Al-Qattan. In 1947, he joined the American University of Beirut as a student of political science, but the Nakba forced him to change majors to business studies in order to support his recently dispossessed family who had been expelled from Jaffa and were now living as stateless refugees in Amman. After graduating in 1951, he worked as a teacher first in Amman then in Kuwait, where he met Leila Miqdadi- Al-Qattan, daughter of Palestinian educator Darwish Miqdadi, marking the beginning of a journey filled compassion and philanthropy. Two years later, in 1953, he joined the Ministry of Water and Electricity where he eventually became Director General. In 1963, he left the public sector and founded Al-Hani Construction and Trading with his partner the late Hajj Khaled Muttawa. The company soon became one of the most successful engineering and contracting companies in the Gulf. From the early 1970s, Al-Qattan began his active involvement in social, charitable and developmental work. He was one of the founders of the Institute for Palestine Studies and Taawon - Welfare Association, served as Palestine’s governor at the Arab Fund for Social and Economic Development, and member of the Board of Trustees of the American University of Beirut. Al-Qattan supported many Palestinian and Arab students and many other organizations including the Centre for Arab Unity Studies, the Ahmad Bahaa Edin Foundation, Birzeit University, The Palestinian Center for Policy Research & Strategic Studies - Masarat, and many others. In spite of his successful business career, Al-Qattan was deeply involved in Palestinian and Arab politics. He represented his people on several international visits, accompanying Ahmed Al-Shuqairi to China in 1964 and supporting the PLO in its infancy in Kuwait. In 1969, during the Palestine National Council meeting held in Cairo, he was elected Speaker, a post he would resign from a few days later after the PLO factions refused to agree to a unified command of the organization’s military and financial assets. This marked the end of his direct involvement in politics, although he remained a member of the PNC until resigning, along with his friends Edward Said and Ibrahim Abu Lughod, in 1990 in protest at the PLO’s support of Saddam Hussein’s invasion of Kuwait. 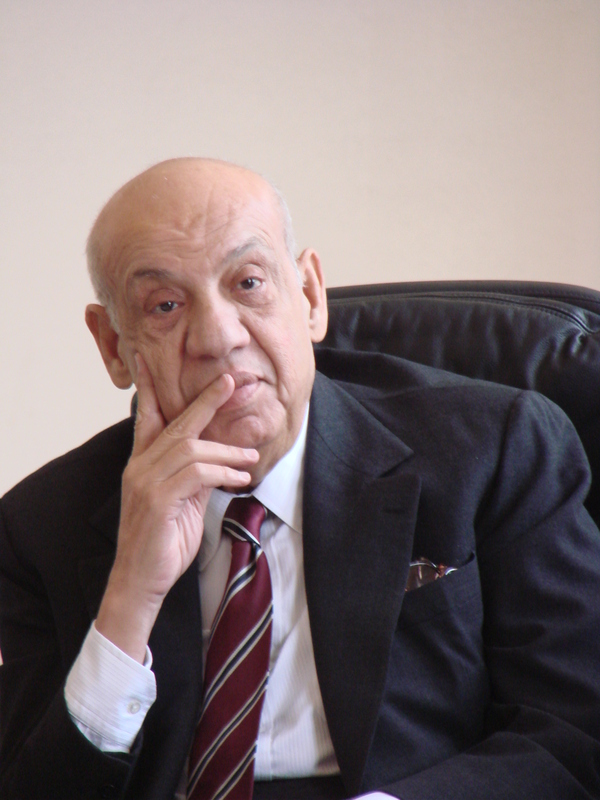 In 1993 he launched the A. M. Qattan Foundation in London which by 1998 had become fully active in Palestine through a range of programmes in the cultural and educational sectors. In May 1999, Al-Qattan returned to Palestine for the first time since 1948, visiting his hometown Jaffa, and accepted an honorary doctorate from Birzeit University. In March 2011, Al-Qattan announced that he would bequeath a quarter of his wealth to the Foundation to ensure its independence and sustainability. Al-Qattan was an exemplary philanthropist. Together with his late wife, Ms. Leila Darwish Miqdadi, theirs was a life anchored in the belief that education and culture are the most vital tools for the emancipation of the Arab and Palestinian peoples. Abu Hani, as he was affectionately known, was looking forward to the opening of the new A. M. Qattan Foundation building in Ramallah, but unfortunately, would not live to see his dream realised. Nonetheless, the new building and all the facilities and services it will offer, will mark the legacy of a beloved Palestinian, promising better opportunities for many generations to come.